Does upper cervical chiropractic help vertigo? Does upper cervical chiropractic help vertigo and dizziness? You’re invited to listen/watch four patients who have been helped by upper cervical chiropractors from around the country. Vertigo is recurring dizziness, spinning sensations, and a loss of balance. More severe cases may include nausea, vomiting, tinnitus (ringing in the ears), and blurred vision. Deposits of calcium crystals in the inner ear, called canalithiasis, are often blamed for vertigo symptoms. Vertigo-like symptoms often come with other health problems, like Meniere’s Disease, Migraines, and inner-ear infection. Often vertigo is not really the result of calcium deposits, but is in fact the result of a prior head to neck injury playing with the body’s ability to understand its position in space and time. Head to neck injury can cause the atlas bone (C1) into a position that disrupts and even chokes the nerve signals from the brain. If the congestion at the bottom of the brain and the top of the neck affects the nerves that communicate with the inner ear, then vertigo-like symptoms can be the result. This was certainly the experience of the upper cervical chiropractic patients who shared their stories above. Do you have vertigo? 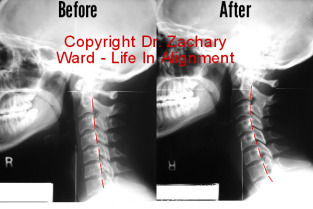 Are you ready for your upper cervical evaluation by an upper cervical doctor? Please use our contact page to request a call online.